Published on 18 February 2012. 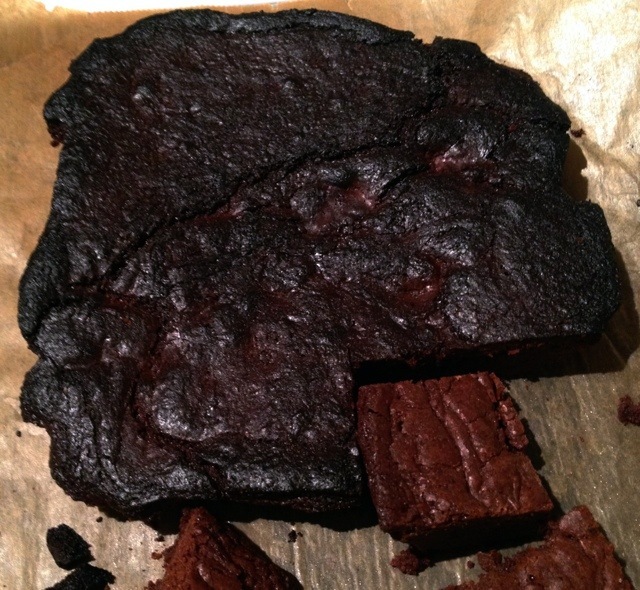 My previously celebrated brownie-baking skills are being severely questioned today, after two successive batches, being made for friends, ended up a little “crispy”, as Wendy would say. Luckily, I was (partially) saved from an Alfred-esque reputation by Asda’s in store bakery… though it’s a crying shame that a whole kilo of chocolate was wasted in my failed efforts! This 1,531st post was filed under: Photo-a-day 2012, Baking, Brownies.